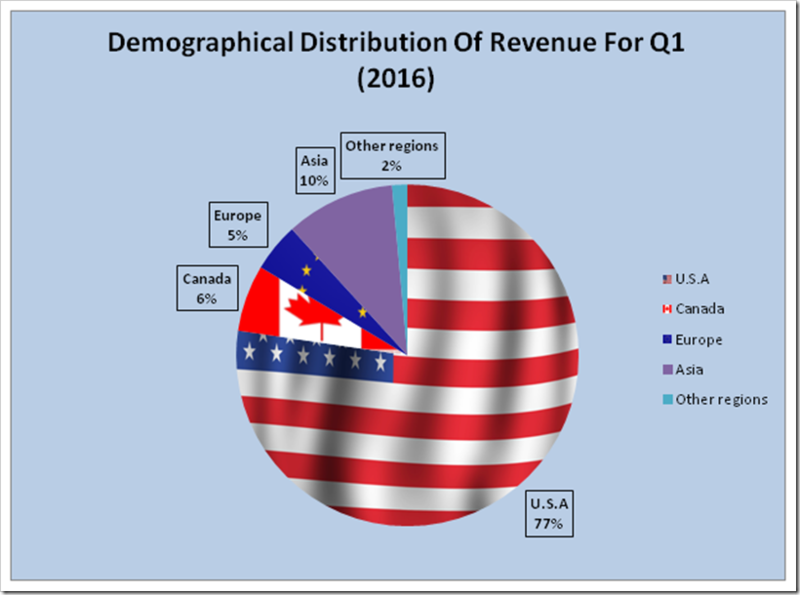 The demographical distribution of revenue doesn’t seem to be very encouraging for the Q1 2016 as most of the region contributed less revenue as compared to the Q1 2015. 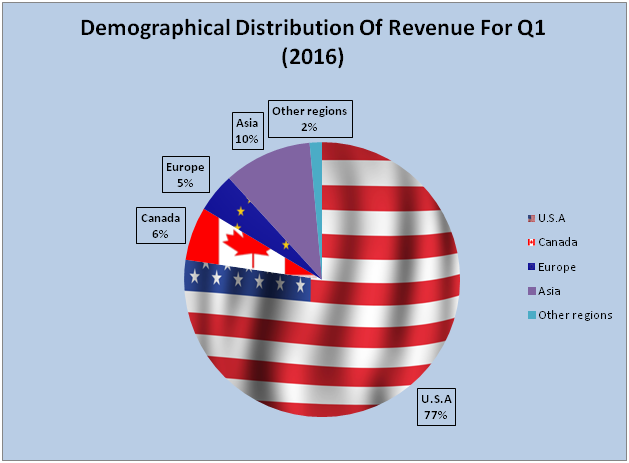 The leader in the chart , USA contributed US$ 2658 million in this quarter while in the same quarter in the previous year , the contribution was US$ 2828 million. 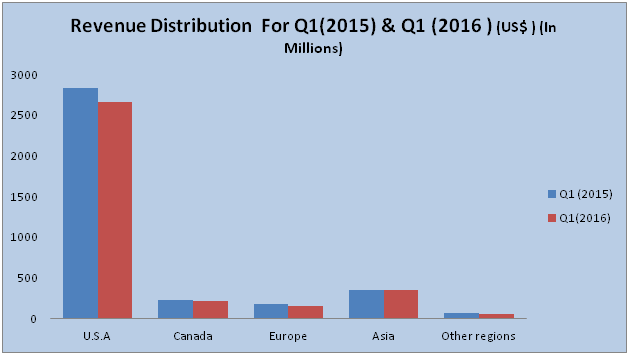 Not only USA , the other regions like Canada and Europe have been following the same trend. 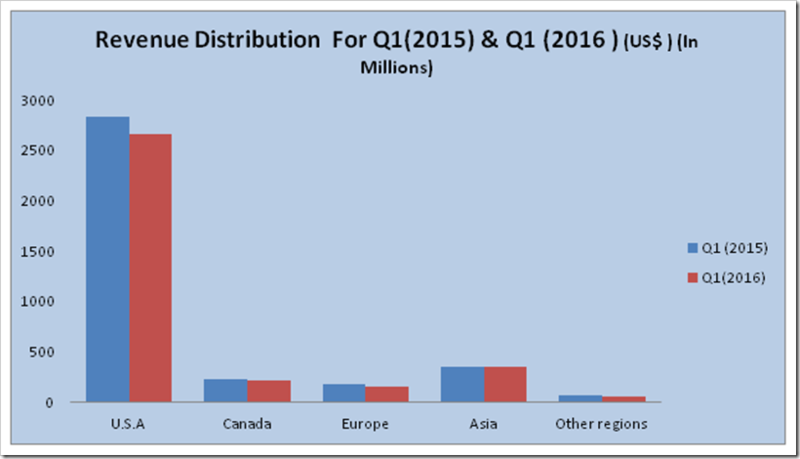 However the fall in the revenue of Asian region is the lowest. The most distressing figure is its net income ,which fell down to US$ 127 Million from US$ 239 and it is due to rise in the operating as well as as the non operating expenses. The company needs to seriously look in to its cost management as well as in its distribution in order to present a healthy financials. 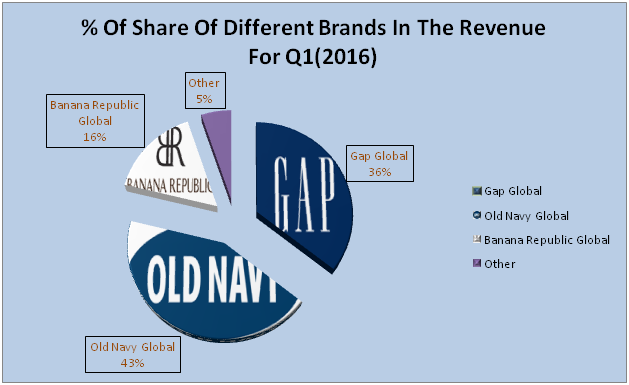 Gap Inc.’s first quarter fiscal year 2016 diluted earnings per share were US$0.32 against US$0.56 in 2015. In an effort to control its costs and improve profitability,the clothing retailer will close its fleet of 53 Old Navy stores in Japan. All in all it will be closing 75 stores in an effort to save $275 million annually. As part of this restructuring, Old Navy will close stores in Japan and focus on growth in North America and China. The brand saw a 6 percent global same-store sales decline in the quarter. 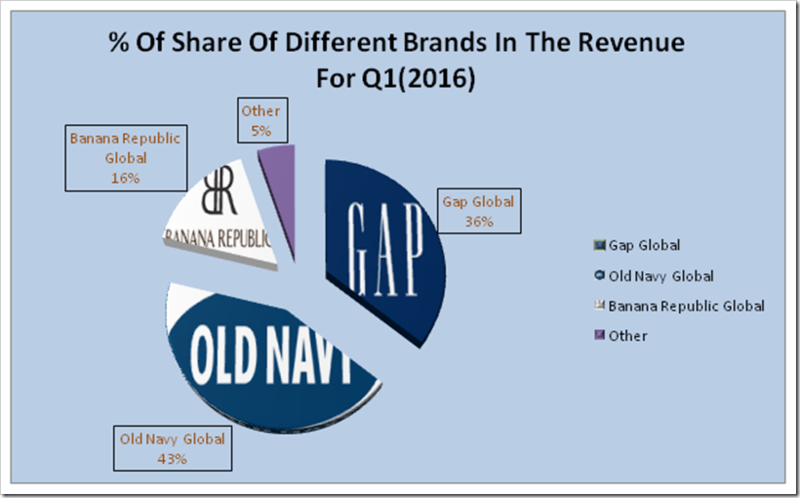 Gap emphasized that Japan remains an important market for the company’s portfolio and that 200 Gap and Banana Republic stores will remain in the country. Many of Gap’s problems are those facing other retailers as well, analysts said. Shoppers are reluctant to spend on clothing, and many aren’t rushing to the mall — this time of year is particularly slow for retailers. Macy’s, Kohl’s and Nordstrom all reported disappointing first-quarter results. Also Gap never evolved beyond its reputation as a place for clean-cut basics. While other retailers such as J. Crew and Urban Outfitters updated their aesthetic to keep up with changing times, Gap never successfully managed to modernize. And this is justified by the fact that Gap shares are down more than 50 per cent since the beginning of 2015.